Advertise: Knutsford.Net currently enjoys over 500000 hits a year from over 100000 visitors. From these figures the website must be seen as an ideal marketing and promotional tool for both business and community events within our town. By advertising with Knutsford.Net, you can be sure of reaching a wide-ranging audience. Prices for a full colour static advert with link to your website, in a priority position is £75 for 3 months, £150 for the year (less than £3 per week) for 12 months. These are 50% discounted prices for prompt payment. 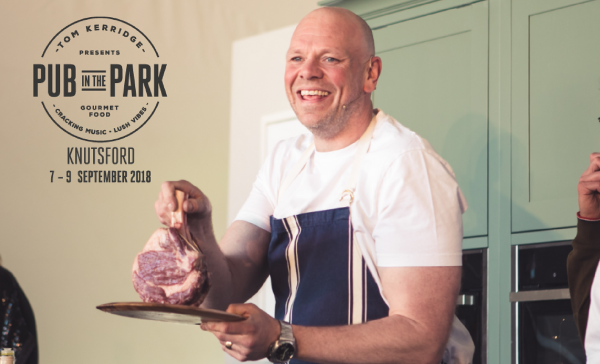 Tom Kerridge’s food and music festival, Pub in the Park, is coming to Cheshire! 2018 will see the laid-back summer celebration coming to Knutsford from 7 – 9 September 2018 after its sell-out debut last year in Marlow. You can expect cracking music from household names including Razorlight, Tom Odell, Scouting for Girls and Sophie Ellis-Bextor plus top chefs including Tom Kerridge himself, Candice Brown, and Angela Hartnett will take to the stage for live cooking demos. Pop-up pubs and restaurants will be serving their award-winning food for festival-goers to feast on, including Tom Kerridge’s The Hand & Flowers and The Coach, Pipe & Glass, The Hardwick, The Star Inn and many more. Expect bars serving every tipple from craft beer to artisan gin and lots of shopping so you can take something home with you. Sounds like a lush day out! For more information, simply email leaving your contact details to andrew@knutsford.net who will be more than happy to discuss how best to meet your needs and your budget.